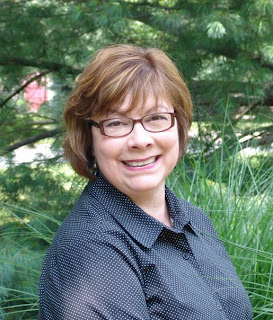 Pattie Giordani, a long-time editor and freelance writer, has mastered the art of PR. And she’ll help you become an expert, too – at her Write Stuff workshop – SSP: Shameless Self-Promotion, Online and Off. Q. Why is it important for a writer to know how to promote him- or herself? Pattie Giordani: If you’re just writing for yourself, maybe you don’t want or need to promote your writing. But if you want people to read what you’ve written, whether it’s a book, a blog, articles, poems—then you need to get the word out. Many book publishers don’t have the staff or budget for author publicity, so writers must learn how to self-promote. Don’t have a book out? If you’re speaking at a conference, you want to promote that. If you’ve won awards, promote that! Q. How much time should a writer devote to self-promotion vs. writing? PG: It depends on what you’re promoting and your own time constraints. If you have a book coming out, you should be devoting more time on promotion than writing the next book. Unless you’re on deadline for that next book, in which case, log on, say what you have to say, log off, and then get back to writing. Q. What advice do you have for shy people? PG: My friend, published author and GLVWG member Tina Gallagher (www.tina-gallagher.com), gives a great workshop called Marketing for Introverts, in which she details many methods you can use from the relative obscurity of your home office. For example, use Facebook, Twitter, LinkedIn, and other forms of social networking to connect with readers and other authors. Q. Are there books a writer can turn to for help in self-promotion? PG: I haven’t used any books, except for those with info on general public relations, but you might try checking the library and bookstores before you buy any. Some websites have good information, and attend workshops (like mine!) at writing conferences. Q. Do you follow your own advice? PG: LOL, not as much as I should! I will link to this blog on my Facebook page (www.facebook.com/pattie.giordani) and my website (www.pattiegiordani.com). How’s that for SSP?! Q. Can you give an example of how self-promotion worked? PG: I’ve edited press releases for friends who are published who sent the releases to local media outlets and were then covered by those outlets. Many writers have promoted themselves on their Facebook pages, where it works, at least on me—I’ve bought books by authors I’ve read about online. nice article.it would be great to read more.